Emergencies happen… they’re not planned. But you can plan for them! Being prepared may mean the difference between death and survival. Whether it’s fire, flood, hurricane or civil insurrection, knowing what is happening is critical! A radio is a MUST HAVE. But not just any radio. You need one that will always have power. 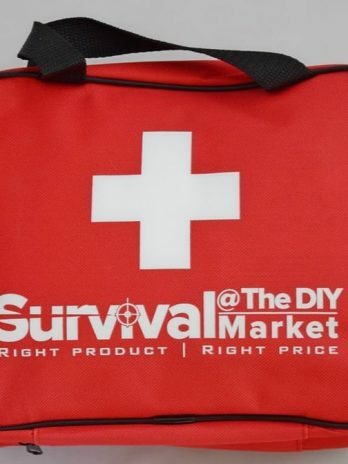 Keep your household prepared with the Survival@TheDIYMarket Emergency Radio. 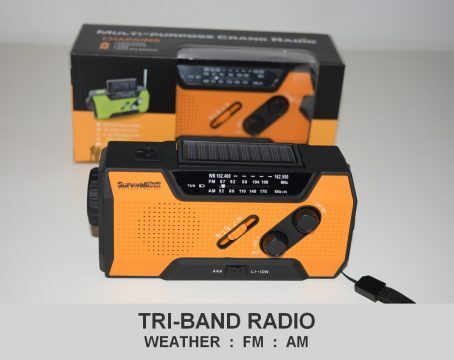 AM/FM & NOAA weather bands, alarms, a bright torch and four independent power sources make this our No1 best seller in radios. Emergencies happen, they’re not planned. But you can plan for them! Being prepared may mean the difference between death and survival. Broadcast emergency weather alerts for hurricanes, tornadoes and severe storms in your area. Includes a table lamp as well as a bright LED flashlight. Charge the big 2,000 mAh Li-ion battery from mains or solar energy. Also runs on standard AA batteries or the built-in hand crank when all else fails! A big 2000 mAh Li-ion battery that provides long hours of radio and/or flash light time. 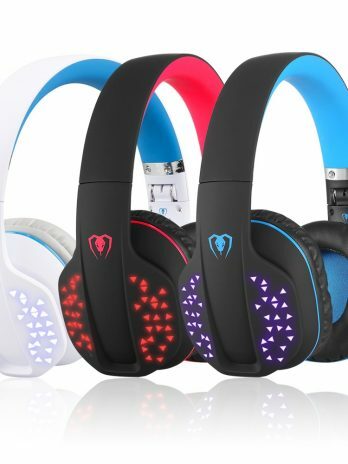 Maximum brightness with minimum power draw-down. 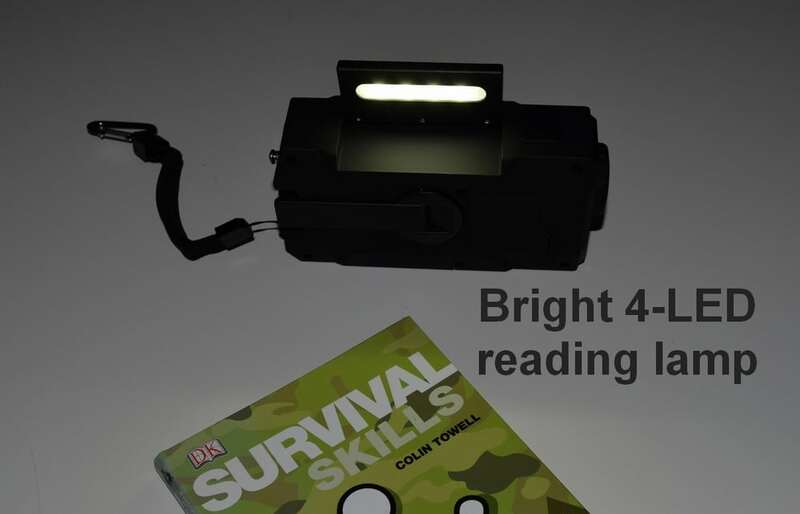 Built-in 4-LED reading lamp is the perfect camp light or for use during power outages at home. It’s also perfect as a map reading light! 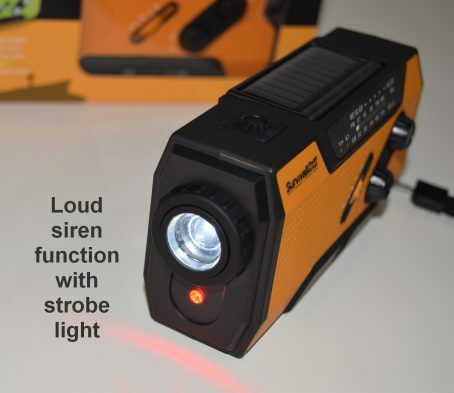 This No1 best selling emergency radio has FOUR separate power sources! 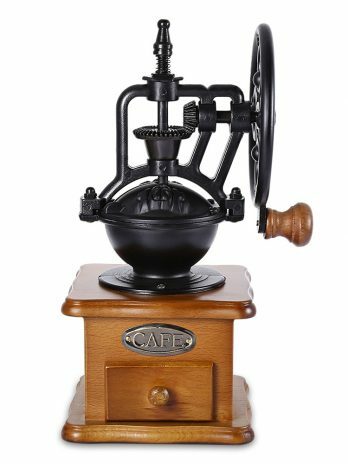 Hand Crank: Just 1 minute of hand cranking generates around 25 minutes of light and 10-15 minutes of radio power. Use sunlight via the built-in, tilt-adjustable solar panel for solar charging. After a scary typhoon experience, I decided to prepare an emergency bag. Since I was packing the bag for my family of four, this meant taking only the essentials. After packing clothes, toiletries, food, and water, I wanted to add a radio to it. I looked for ones that had the functionality of other survival gadgets already built into them. After some time, I found this, which also functions as a flashlight, alarm and power bank. Because of its multi-functionality, I now have space in my emergency bag to add other necessities. I am extremely happy with this purchase! 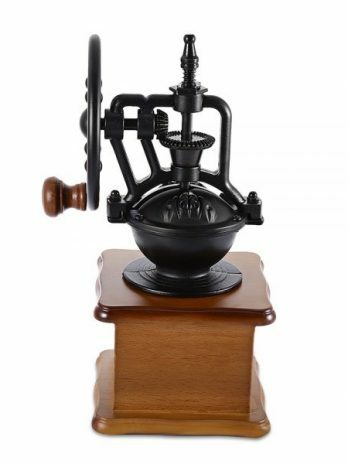 I must say that a lot of hard work has gone into this device. 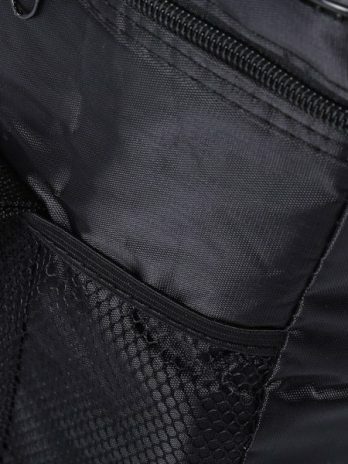 Its quality is outstanding compared to what you pay for. What’s more is that it has so many functions! 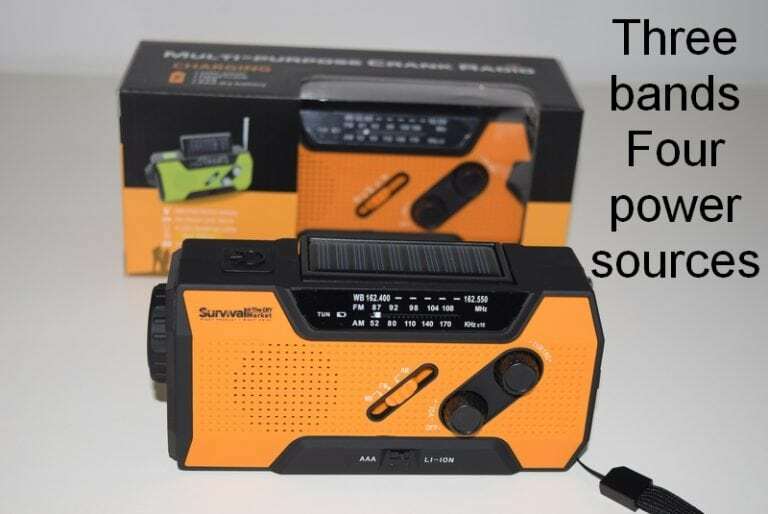 Not only is it a radio, it also comes with a flashlight, stobe, good alarm siren and a power bank for your cell. 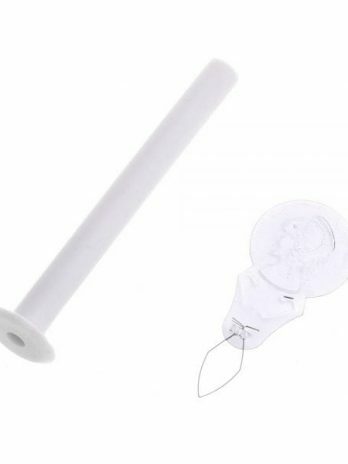 For people who live near disaster-prone areas, these could prove to be lifesavers. Thanks for the nice review Daniel. 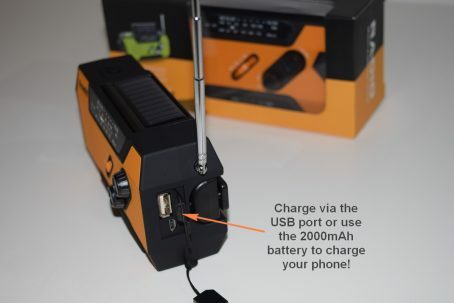 Just to clarify one point, the radio battery has a capacity of 2000mAh so if your cell battery is bigger – and many are today – it will only partially charge your phone. 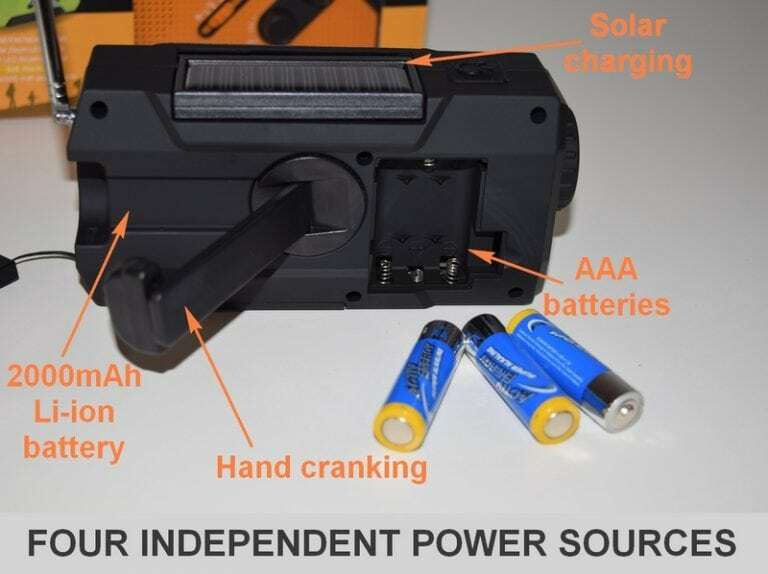 Of course, you can recharge the radio using solar or hand-cranking if needed. As an example, my cell battery is 3400mAh so, if my cell was empty, the radio will provide a max of 2000mAh on a single charge. Hope that’s clear. My son loves the outdoors so his dad always takes him on camping trips. I bought them this emergency radio to give myself some peace of mind when they are out. As it turns out, the rest of my family loves it as well! It came totally as advertised. The light it comes with could be stronger, but the other features make up for it. 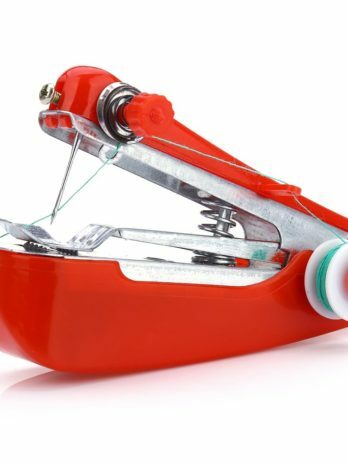 I would definitely recommend this item to other people. I would especially recommend this to the parents of the kids my son goes camping with. Hi Michelle and thanks for the nice comments. Have you noticed that you can focus the flashlight beam by turning the dial around the lens? I suspect you have it on the wider setting which throws light over a wider but closer area. Focusing gives a narrower beam which throws the light further forward. For someone as adventurous as me, this emergency radio is a definite must-have. 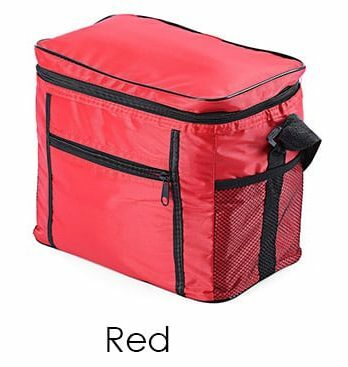 It is compact enough that I can just grab it and go to my next camping trip. Its portability doesn’t sacrifice functionality at all. It performs just as well as my more expensive equipment. What’s even better is that this can be powered by solar energy and hand cranking – perfect for times when I forget to bring batteries with me. If you’re looking for one great piece of emergency gear, you should definitely get this! Thanks for the kind review Nicholas. I recently moved to a place that is prone to natural disasters. After a few scares here and there, I decided to get an emergency radio. I had no idea what specific type of radio to get. Luckily, through a bit of searching, I was able to find this. I feel secure with this device because it has next to everything I need in an emergency. It picks up FM, AM, and WB bands really well, which gives me the latest news in an instant! Me and my friends like to take trips and camp out in some unusual places. This means that our equipment must be able to take quite a beating. 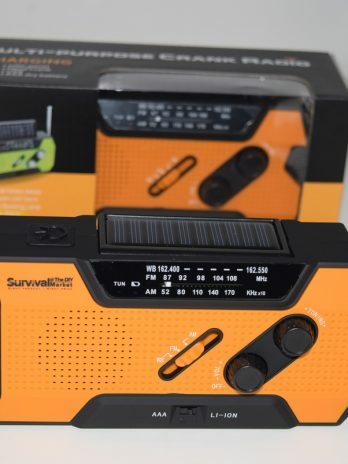 This emergency radio is deceptively lightweight yet is actually sturdy. 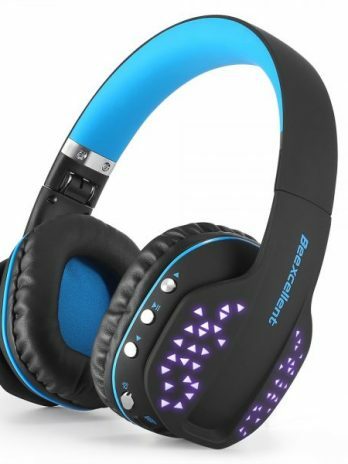 I have already dropped it a couple of times during our camping trips in rough terrain. However, it still functions as it did when it came out the box. Because it’s inexpensive, durable, and very useful, we each got one of our own!